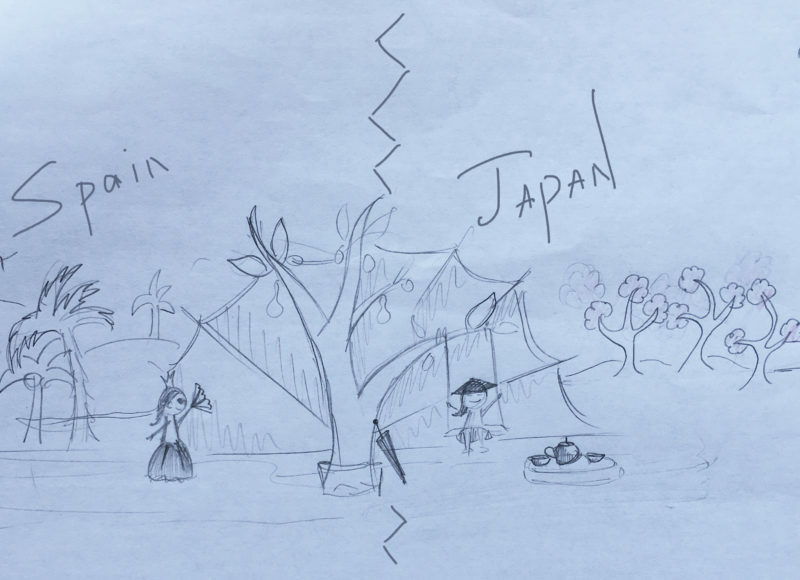 In this story we see two opposite cultures. The Japanese soft ans silken culture and colorful, picturesque Spanish culture. 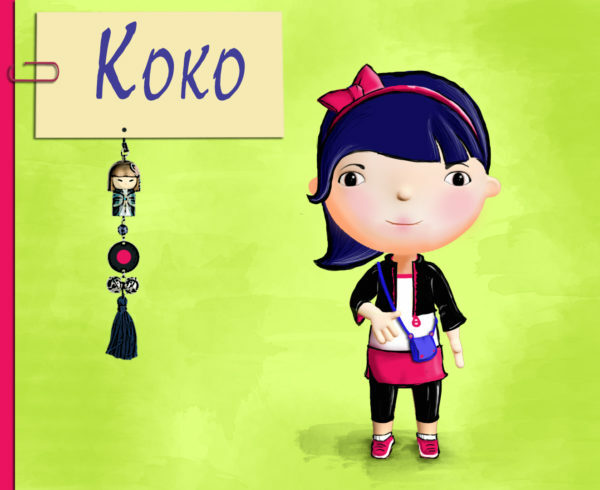 One of the main characters is our Koko. She has a nut tree. She crafted a swing on it and spend her time on it to dream. The Spanish princess visits her to see her miracle nut tree. Koko introduces her culture to the Spanish princess. 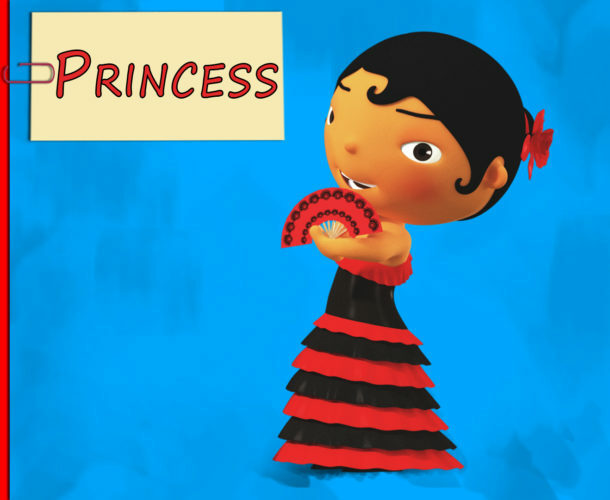 The Spanish princess gives Koko her big crimson rose-hairband as a symbol of their friendship. The princess learns Japanese dance with umbrellas, swing on the nut tree swing and gets the magic fruits from that tree. In the background we see decorations in two opposite stylistics. In Koko’s side there are sakura trees, soft colors. In princess’s side there are palms, the castle and colorful backgrounds. The big fan apperas here as a relation between this two cultures. The fan is one of the symbols eighter in Spain, or in Japan. 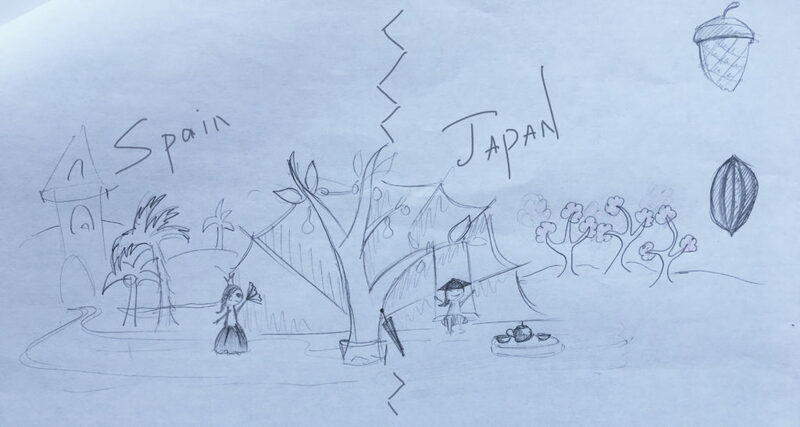 This is a little nice story about two girls who wants to show to each other how beautiful their own cultures.